512 pages | 22 Color Illus. | 51 B/W Illus. Increasingly stringent environmental regulations and industry adoption of waste minimization guidelines have thus, stimulated the need for the development of recycling and reuse options for metal related waste. 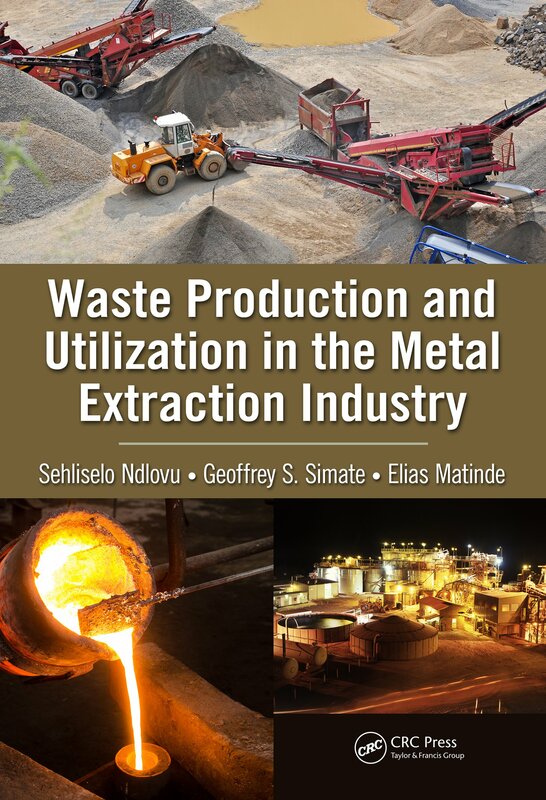 This book, therefore, gives an overview of the waste generation, recycle and reuse along the mining, beneficiation, extraction, manufacturing and post-consumer value chain. This book reviews current status and future trends in the recycling and reuse of mineral and metal waste and also details the policy and legislation regarding the waste management, health and environmental impacts in the mining, beneficiation, metal extraction and manufacturing processes. Holistic approach to waste generation, recycling and reuse along the minerals and metals extraction. Detailed overview of metallurgical waste generation. Practical examples with complete flow sheets, techniques and interventions on waste management. Integrates the technical issues related to efficient resources utilization with the policy and regulatory framework. Novel approach to addressing future commodity shortages. Sehliselo Ndlovu is an Associate Professor in the School of Chemical and Metallurgical Engineering at the University of the Witwatersrand in Johannesburg, South Africa. Her specialization is in extractive metallurgy, and in particular, mineral processing, hydrometallurgy, biohydrometallurgy and the treatment of industrial and mining effluents. She holds a Diploma of Imperial College (DIC) in Hydrometallurgy and a PhD in Minerals Engineering from Imperial College, London in the United Kingdom. She has over 12 years of experience in the Metallurgical Engineering field. Sehliselo currently holds a DST/NRF SARChI Professorial Chair in Hydrometallurgy and Sustainable Development at the University of Witwatersrand. Geoffrey S. Simate is a Senior Lecturer in the School of Chemical and Metallurgical Engineering at the University of the Witwatersrand, Johannesburg. He has more than 9 years of hydrometallurgical industrial experience where he held various senior metallurgical engineering positions. He holds a PhD in Chemical Engineering from the University of the Witwatersrand, Johannesburg, and has published several technical journal articles and eight book chapters. Elias Matinde is a Senior Lecturer in the School of Chemical and Metallurgical Engineering at the University of Witwatersrand, Johannesburg. Elias has extensive experience in the scientific and applied research and development of metallurgical processes, and in technical consultancy and metallurgical advisory in diverse areas of metallurgical processes. He holds a PhD in Metallurgical Engineering from Tohoku University in Japan, and is a registered Professional Engineer with the Engineering Council of South Africa.